Home » Big Idea Tech Blog » Blog » Big Idea Technology is now a Microsoft Gold Partner! Earning this certification required a commitment of time and expense on our part, which helped to demonstrate our value to our customers. 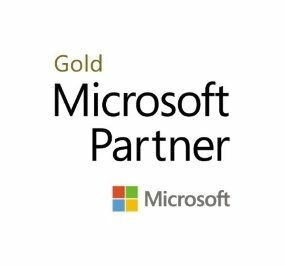 Being a Microsoft Gold Partner means much more than being able to display a Gold Microsoft Partner logo. It means that we have formally established our expertise in selling and deploying Microsoft Office 365 cloud and hybrid solutions. This positions us to meet our customers’ needs and to be have our expertise recognized by potential customers. Having achieved this elite status provides us with more opportunities with Microsoft to further increase our value to our customers. We have Internal Use Rights, which provides us with access to software to use for our own business to build product knowledge, and to use for testing and demonstration. We can take advantage of Partner Advisory Hours for technical presales and advisory services from the Microsoft Partner Services team for personalized assistance in building out our solutions. We also receive the highest levels of support and technical services from Microsoft. In addition, we are provided with opportunities for training, tools and resources to further strengthen the skills of our staff. Big Idea Technology has demonstrated a commitment to Microsoft that puts us in a position to deliver success to our customers. If you’re interested in learning how we can help your company with custom Microsoft business solutions to meet your business needs, call us. We’ll be happy to set up a free consultation.